Where the previous CRM-notes module could handle telephone notes, internal messages, tasks, and other agreements made with your customer, this new CRM-e module also tracks all email communication. It automatically assigns not only outgoing but also incoming emails to a customer. 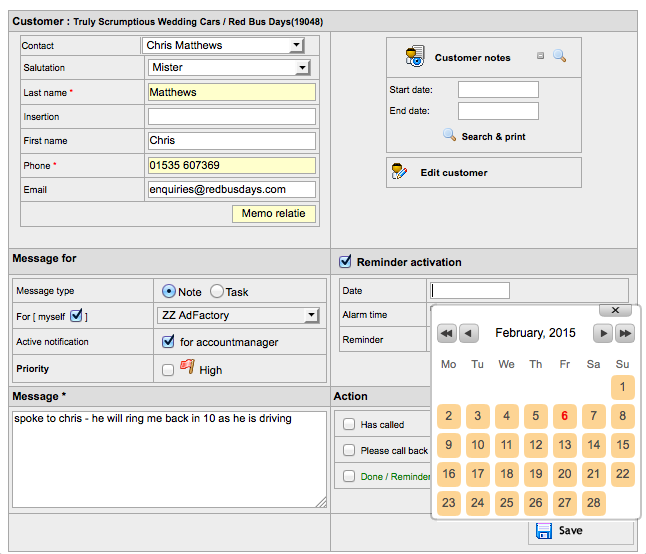 As a result, every user logged into the AdFactory system can view all communication with that specific customer, i.e. notes, agreements and emails, listed chronologically. Of course email-attachements can be handled as well so that e.g. an offer sent to a customer, can be found in a second. Also when the customer sends ad material, it can be coupled to the ad booking and forwarded to studio for production. Because of its high performance database, key-word search enables lightning fast results. 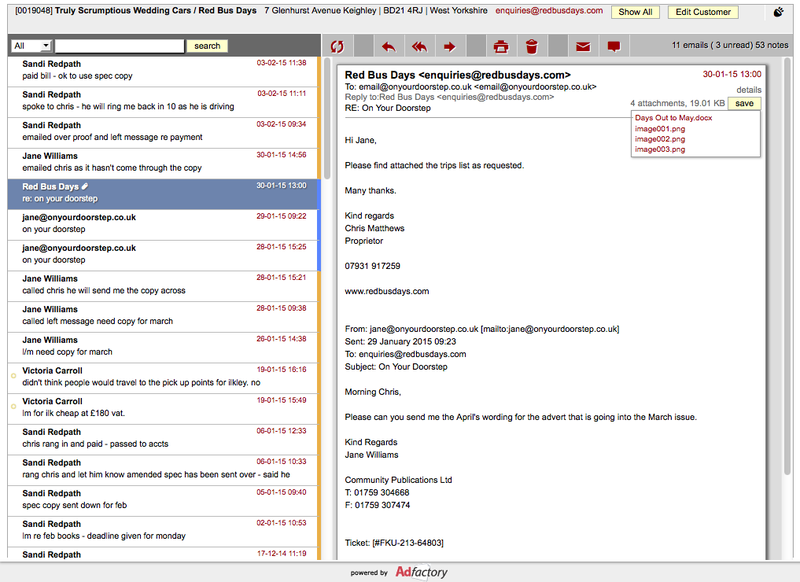 AdFactory’s new CRM-e module gives a quick and clear overview of all communication per customer, so that every contact moment can be based upon the latest and up to date information related to ad selling and booking!